»» Download TouchCopy for free! TouchCopy ::: a computer program that allows users to manage content on iOS devices. Using TouchCopy, managing and organizing the content on your phone is much simpler and more efficient. »» Download TextPad for free! TextPad ::: a computer program that allows users to work with text documents. Using TextPad you can create and edit any type of text document. 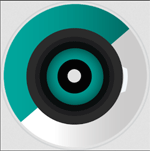 »» Download Streaming Audio Recorder for free! 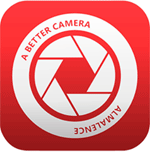 »» Download ApowerEdit for free! »» Download Batch File Renamer for free! Batch File Renamer ::: a computer program that allows users to rename files. »» Download MOBILedit for free! MOBILedit ::: a computer program that allows users to manage the contents of their phone. Using MOBILedit you can transfer files, install applications or organize multimedia content. »» Download Photo Filter Factory for free! »» Download ApowerManager for free! ApowerManager ::: a computer program that allows users to manage the contents of their phone. »» Download Apowersoft Screen Recorder for free! »» Download Password Manager for free! Password Manager ::: a computer program that allows users to manage passwords.